I knew as soon as I heard about the Welcome Spring Link Party that I was going to create a nautical, beach themed wreath. The first thing I thought of was that this will certainly need some beach grasses! I headed to A.C. Moore for my supplies. 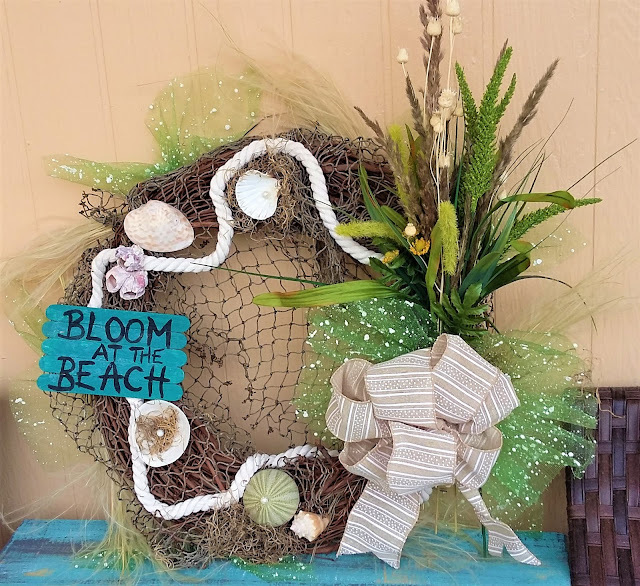 You'll need fishing net , rope, a grapevine wreath, assorted beach grasses, ribbon and a mix of seashells. This was pretty easy to make. Drape a piece of fishing net around the wreath leaving a piece hanging in the middle as a backdrop. 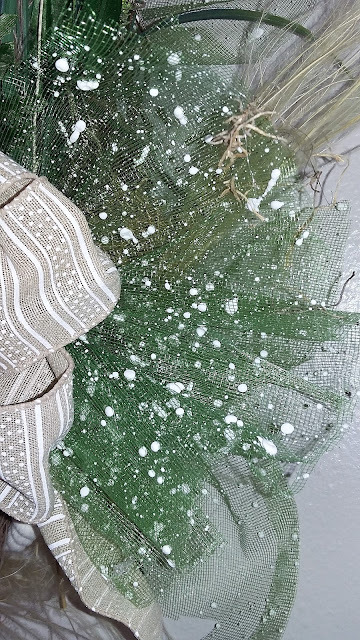 Make sure to hot glue the netting in place in some hidden places. Next you'll need to place the rope on the wreath. Use my wreath as a model to lay it out. Make several small bouquets with a variety of beach grasses and use tape to hold them together. Then add these to the back of the wreath to add some dimension and create a larger looking wreath. I also added this speckle tulle to the back. I just cut 4 x 8 in. pieces, gathered it in the center and pinch it into a "V" shape and glued that to the back between the bundles of beach grass. Make sure to glue it so that it's far enough out when you flip the wreath around to be seen. I didn't get a pick of that but you can see the speckled tulle here. It was the perfect pop of Spring color. Gather faux flowers and more grasses and tie with wire twist. 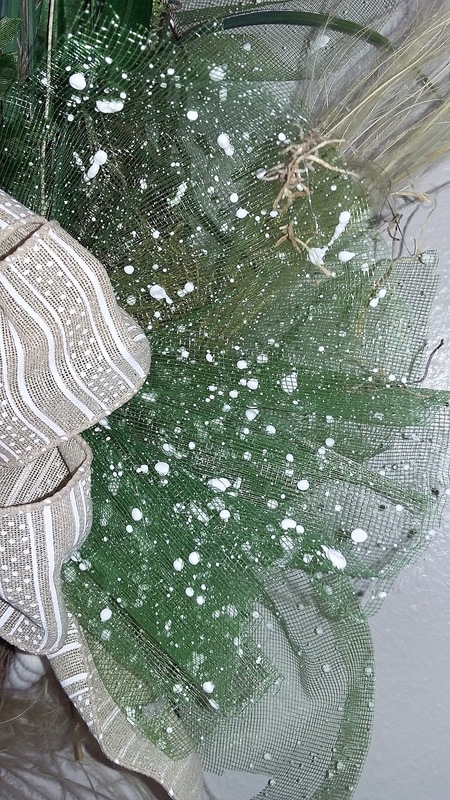 Hot glue this to the front of the wreath. Make a pretty bow using a pretty ribbon. 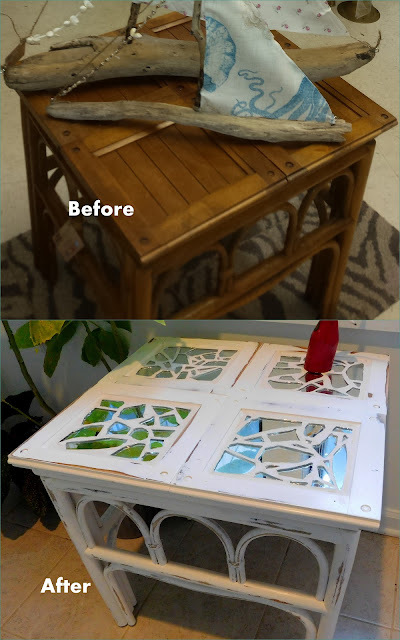 Add some seashells and pearls to bring it home. 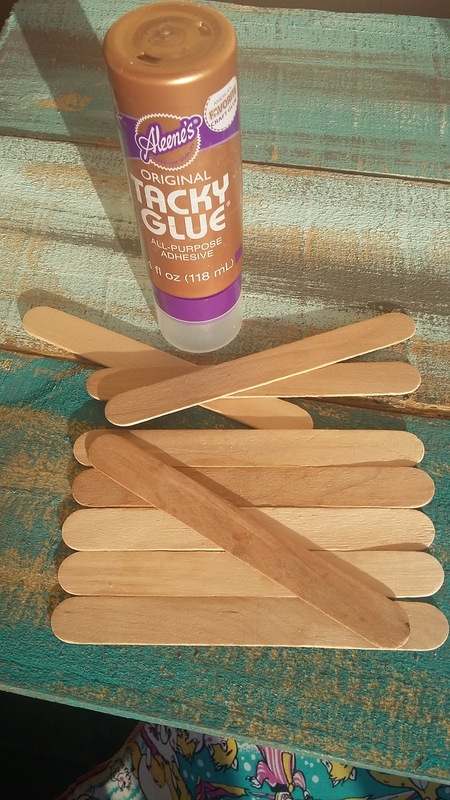 To make a little sign you'll need the wide popsicle sticks . 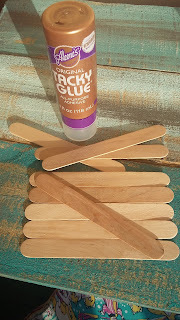 I used Tacky glue to glue the bottom 5 sticks together and then I added a top stick across for some added support. 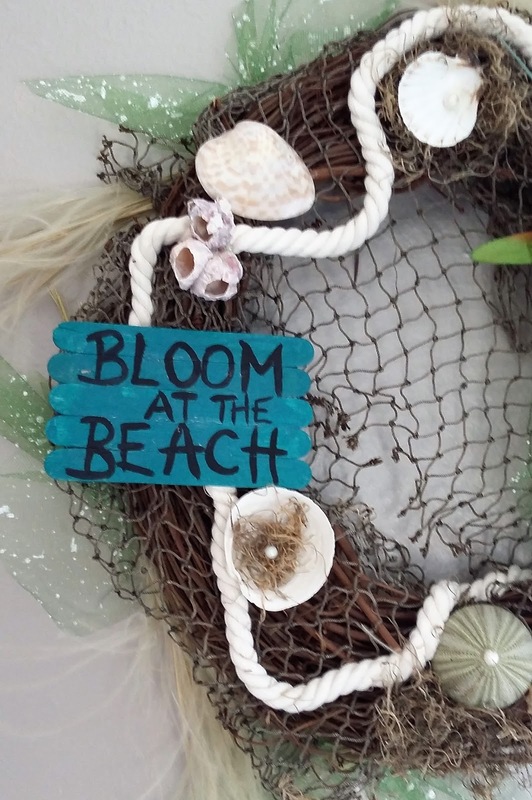 I just painted a base color and then painted my Spring slogan "Bloom at the Beach".Add it to the wreath with some hot glue. Done . 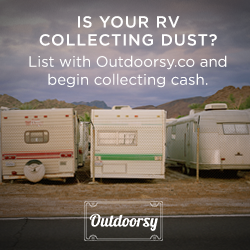 You can find me blog hopping at link parties here all week.